California Cities That Restrict Marijuana Sales Sue State Over Allowing Deliveries . Twenty-four cities that ban legal marijuana sales filed suit against the state last Thursday, arguing that allowing home deliveries in those locales violates the state's marijuana laws. The lawsuit comes after the California Bureau of Cannabis Control adopted a rule in January that permits state-licensed companies to deliver marijuana in cities that ban pot shops. Florida Legalization Bill Killed . A bill that would have legalized marijuana in the Sunshine State is dead. HB 1117 , filed by Rep. Carlos Guillermo Smith (D) was killed in the House Judiciary Committee, where, he said, "It got no hearing, no debate, no vote. Just like they always do." Hawaii Senate Committee Approves Decriminalization Bill . The Senate Ways and Means Committee has approved a bill that would decriminalize the possession of up to three grams of marijuana, HB 1383 . The bill has already passed out of the House and two other Senate committees and now heads for a Senate floor vote. If it passes there, it will then go to a conference committee to iron out differences between the House and Senate versions of the bill. North Dakota Legalization Initiative Organizers to Try Again in 2020 . Legalize ND, the folks behind the failed 2018 legalization initiative, will be back in 2020, the group said last Thursday. Organizers said they hoped to have initiative language in place by mid-summer. The new measure will include possession limits, growing limits, taxes on sales, banning of edible gummies, packaging and licensing requirements and wouldn't allow any type of advertising of products. 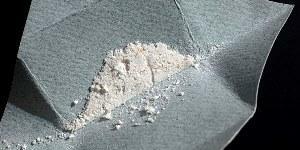 Third Circuit Tosses Heroin Dealer's Conviction, Clarifies Law on Intent to Distribute . The US 3rd Circuit Court of Appeals has thrown out the conviction of a heroin dealer, ruling that a conviction for intent to distribute 1,000 grams or more of heroin must be based on evidence that the defendant possessed or distributed that quantity at a single time and not based on adding up several smaller possessions and distributions during the indictment period. Bipartisan Bill Targets China Over Fentanyl . Sens. Chuck Schumer (D-NY) and Tom Cotton (R-AR) led a bipartisan group of senators in filing a bill that would slap sanctions on China if it fails to live up to its recent promise to regulate fentanyl as a controlled substance. The Fentanyl Sanctions Act allots $600 million to law enforcement and intelligence officials to identify producers and traffickers of the drug and would block access to US markets for Chinese chemical and pharmaceutical companies if they are caught producing the drug.